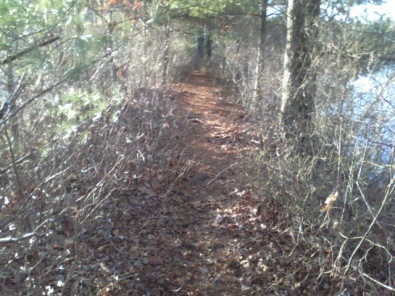 Hiking trails in Duxbury is not the usual first thought of many when the name of Duxbury is mentioned. Primarily the first thought is of it's beaches and waterfront areas. Though that certainly is a highlight of this town, there are many hiking trails in forested areas here. 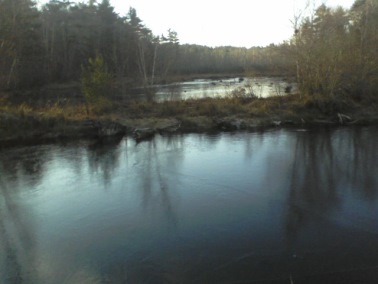 Much of the northern sections of Duxbury lay in these forested areas. There are several large tracts of land set aside for conservation purposes. Several of the conservation areas host portions of the Bay Circuit Trail. Yet this forested area is not the only area containing interesting hiking opportunities. Like many of the towns here on the south shore, Duxbury was inhabited by Native Americans long before the white settlers moved in. It is believed that the Wompanoag tribe lived here as many as 12,000 years ago. Life of the American Indian highlighted farming, fishing and hunting. Being nomadic in nature they moved to where the food sources were best in each season. This required paths and trails being made of which many are still in use as routes or streets today. 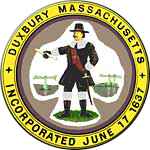 Duxbury, then known as Duxborough was first settled in 1629 when land grants were given to about a third of the Pilgrim settlers who had come to Plymouth. The land grants were allotments of land along the coast given specifically for the purpose of farming. At first those who were awarded these plots of land were only part time farmers. Farming in the summer and returning to Plymouth for the winter. As time progressed many of these part time residents moved in and built homes. Eventually as the population grew they found themselves able to establish a parish and build a meeting house. The basic requirements to incorporate as a town. This happened in 1637. The area named Duxborough at that time included parts of the current towns Marshfield, Pembroke, Hanson and Bridgewater. 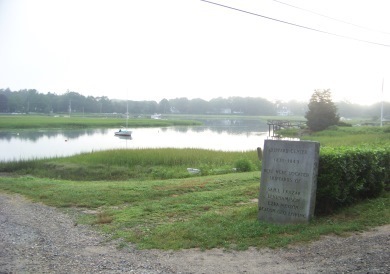 Duxbury in those years was a quiet farming and fishing community. The only thing disturbing this peace was the King Phillip War (1675-1678) and then the Revolutionary War. Once the Revolutionary War was over the growth and wealth of Duxbury started to increase as the town entered into the shipbuilding industry. This came about as our new nation had gained fishing rights on the Grand Banks. Duxbury became the leading shipbuilder in the area. 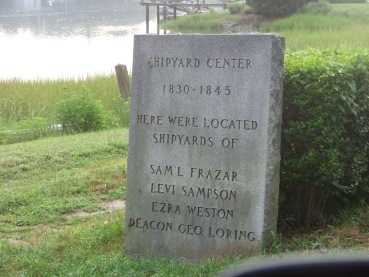 By 1840 there were as many as 20 shipyards in the town. One notable leader in this area was a man by the name of Ezra Weston. Soon he became known as King Caesar because of his wealth. He began building small vessels in 1764. His son Ezra ll inherited the business and continued its growth so that in 1841 he had built the largest vessel in New England at that time. 1826 The Ford Store was established and was the first department store in the U.S. Unfortunately the shipbuilding in Duxbury ended quickly by 1850. The railroad was fast replacing the ship industry as a way to travel. The remaining shipping business was now being replaced by faster clipper ships that needed a deeper bay than Duxbury bay or any body of water that the south shore could afford. The shipping industry now moved to Boston and Duxbury started a decline in wealth. Duxbury returned to the quiet farming and fishing town it once was, adding cottage industries as well. In the 1860's the civil war increased Duxbury's downturn. In 1833 the Duxbury rural Society was formed. As the town's income declined this society's initial interest was to beautifiy the town. This same society purchased the first tract of land set aside as conservation property. Now known as the Duxbury Rural and Historical Society and continues to this day to preserve historical properties. In the late 1800"s Duxbury enjoyed another economic boom when city visitors became attracted to Duxbury"s beaches. There was enough tourist interest in Duxbury to encourage the Boston and Cohasset railroad to contuinue on to Duxbury. Soon Inns, hotels and boarding houses sprang up in the town. One hotel in particular was the Miles Standish Hotel located on the Standish shores. Near this area the Miles Standish Monument was built in 1898. Years later these vacationers would start to build their own summer homes and a source of income for Duxbury dwindled. 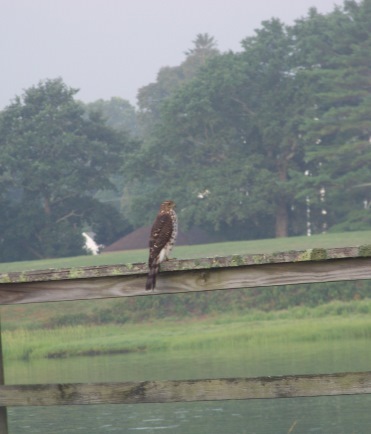 Yet the influx to Duxbury in the summer did remain. In the 1960's route 3 was built. This made travel to and from Boston far easier and quick. Duxbury's year round population quickly grew and so did it's desire to separate land from development. Open space land was put aside. lie the South River Bogs Trail. in the midst of several neighborhoods. exit 11 on route 3 is the Crowell Conservation Area. Mostly based around a former cranberry bog. 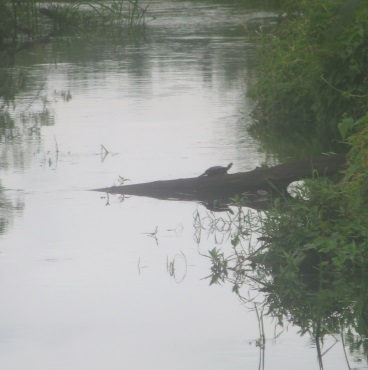 you will find the 114 acre Thaddeus Chandler Sanctuary. 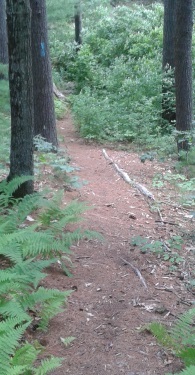 The Bay Circuit Trail runs through this shaded peaceful forest. 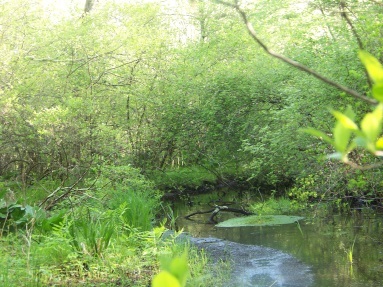 with more peaceful forest highlighting the Phillips Brook. 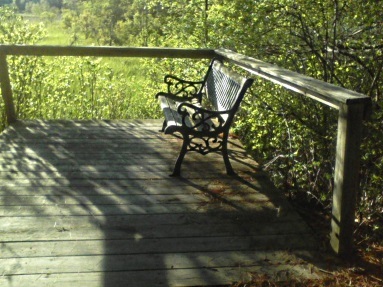 This set of trails have several highlights including the John Sherman Path listed below. through the Camp Wing Conservation Area. A short side trail leads to the Phillip's Brook overlook. 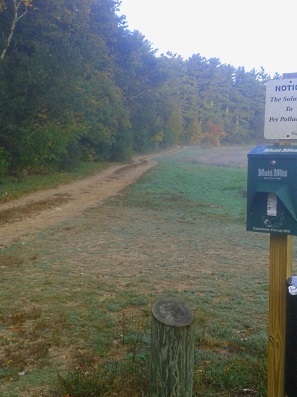 These trails are on Temple St in the northeastern section of Duxbury. 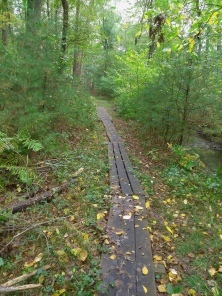 Pleasant trails surrounded by ponds, streams and cranberry bogs. 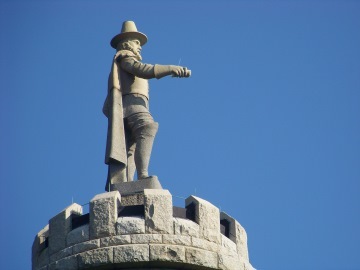 The Myles Standish Monument State Reservation along with Howland Park and a visit to the Myles Standish Homestead make a worthwhile tour of historic properties. 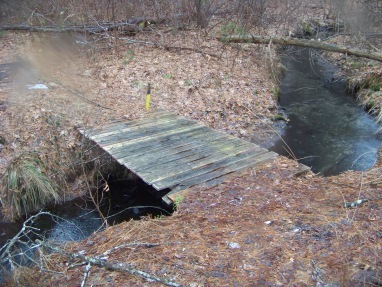 In the south western area of Duxbury are the hiking trails around the Duxbury Bogs. 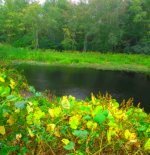 A wonderful mix of open bogs and wooded areas around bog and pond. A favorite with dogs and the friends that accompany them!